On Tuesday, April 5th, at 1:00 PM, the DC Environmental Network (DCEN), DC Fiscal Policy Institute (DCFPI), and District Department of Public Works (DPW), will be holding a special briefing on DPW’s FY2017 (agency) Budget. This is a special opportunity for sustainability advocates and others, to learn about DPW’s funding priorities, and other associated budget issues. 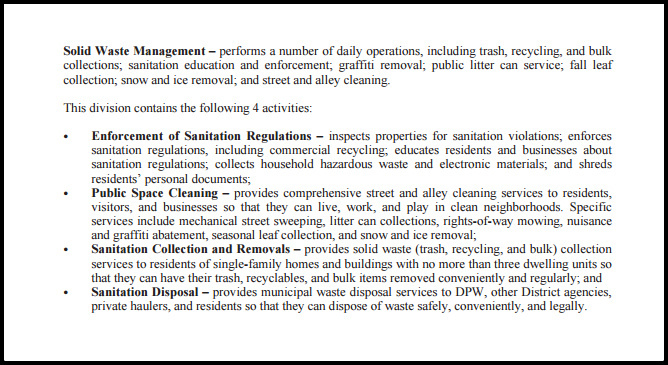 Soon after, on April 14th, the DC Council will hold a hearing on Mayor Bowser’s proposed DPW (agency) budget. This is a great advocacy opportunity to testify on elements of the budget you like or do not like, and things that are not included at all. This briefing is of particular importance to the DC Environmental Network, and other zero waste focused organizations and advocates, because DPW’s Office of Waste Diversion, is and will be, a critical component of efforts to implement more effective waste diversion strategies and help move the District towards being a recycling leader in the region. Climate Change in DC…What Can We Do? DCEN April Networking Event: Briefing/Discussion on District DRAFT Climate Adaptation Plan. 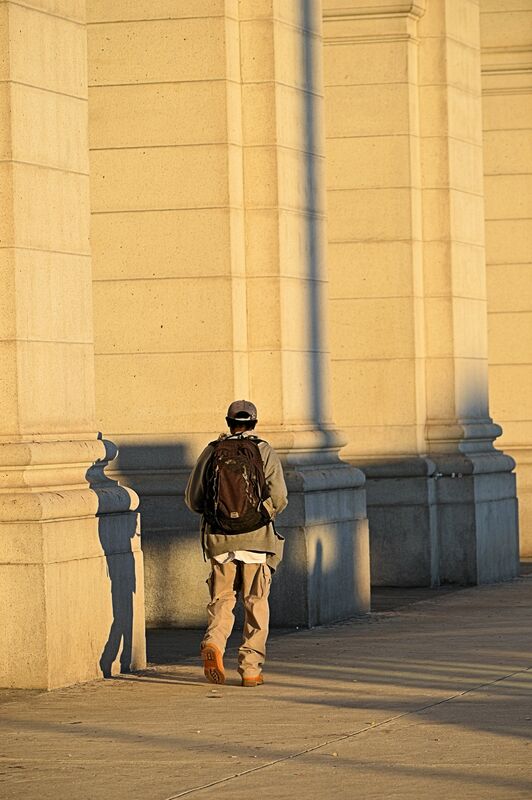 Do you want to learn what climate change means for the District of Columbia? Do you have ideas for how DC can prepare for hotter temperatures, more severe storms, and rising tides? As part of the District’s Climate Change Adaptation Planning, DOEE has been assessing these risks and has proposed solutions to help us prepare for and adapt to a changing climate. Come to a DCEN meeting to learn how climate change may impact your neighborhood and provide input on the draft plan for a Climate Ready DC. Mark your calendar. On Thursday, April 7th at NOON, join the DC Environmental Network (DCEN) for our monthly networking event featuring a briefing and open conversation about the DC DRAFT Climate Adaption Plan. You must RSVP here to attend this special program. The District Department of Energy & Environment (DOEE) has generously made themselves available to us, as part of extensive public outreach efforts, to give DCEN participants a chance to give advice, and share our thoughts, on what will become the final plan. We also hope to learn about what other U.S. and international cities are doing. The event will be held at the offices of Green Cross International and Friends of the Earth, 1101 15th Street NW, 11th Floor. DCEN Participates in Committee Chair Mary Cheh’s DPW Performance Oversight and Director Confirmation Hearing. The DC Environmental Network (DCEN) participated in both the DC Council Committee on Transportation and the Environment’s Public Oversight Hearing on the Department of Public Works (DPW) and the Public Roundtable on the Confirmation of Christopher Shorter as DPW’s Director. DCEN testified in favor of the confirmation of Christopher Shorter as DPW Director. Even in the short time Shorter served as “Acting” Director, DCEN sensed a meaningful, positive shift towards embracing transparency and zero waste recycling policies. Early on Shorter institutionalized quarterly zero waste stakeholder meetings with the new Office of Waste Diversion. Many in the local zero waste movement participated in the inaugural meeting in January. You can read DCEN’s testimony here. DCEN is working to generate more support for Acting Director Shorter’s confirmation. You can send statements of support to Aukima Benjamin at abenjamin@dccouncil.us . The record closes March 18th. There’s still time: Tell Mayor Bowser to stop the Exelon deal! Exelon is losing and D.C. residents are winning. On Monday, Exelon and Pepco made a last-ditch attempt to save their failing deal with a new offer. Importantly, the companies were unable to get any of the settling parties, including Mayor Bowser, to agree to their new scheme. Tell Mayor Bowser it’s time to end this deal for good. D.C. residents are ready to unify around our shared goals of affordable rates, reliability, and sustainable energy. We can’t do this until Exelon leaves the picture. Add your voice to the chorus of D.C. residents who are telling Mayor Bowser to put and end to this bad deal. DCEN Happy Hour March 11th! 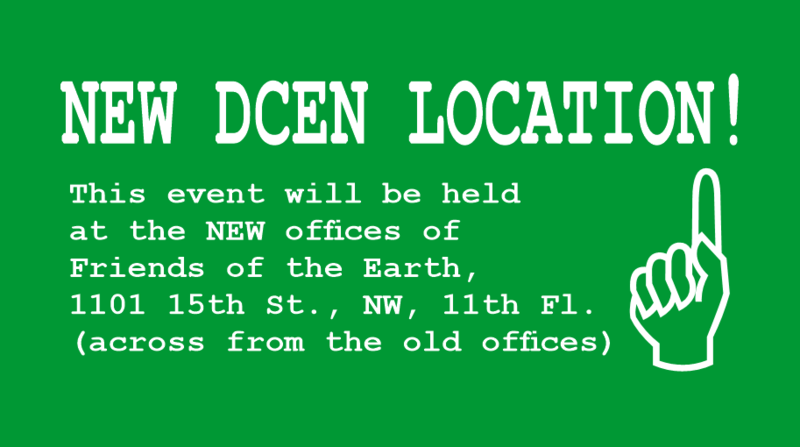 The DC Environmental Network invites you to our first DCEN “Happy Hour” of 2016. It will be held on Friday, March 11th, 5:30-7:30 PM, at our Capitol Hill office (322 4th Street NE). Come hang out, network, and share your thoughts and ideas about Councilmember Cheh’s new solar, sewage waste heat bill. RSVP Here to Attend! Last Tuesday, March 1st, at a DC Council legislative session, Councilmember Mary Cheh introduced what is now officially called B21-0650, the “Renewable Portfolio Standard Expansion Amendment Act of 2016.” The bill was co-sponsored by Councilmember’s Silverman, Grosso, Allen, Bonds, Alexander, and Chairman Mendelson. Proposes a program that would have the goal of installing solar systems on every eligible home owned by low-income families in the District, and would be funded by a 25% increase in the Sustainable Energy Trust Fund fee and allocations from the Renewable Energy Development Fund. DCEN is pleased Councilmember Cheh has put forward a legislative proposal to basically establish a ramp-up of renewables that conforms with the Executive Branch Sustainable DC plan. That’s a good start. 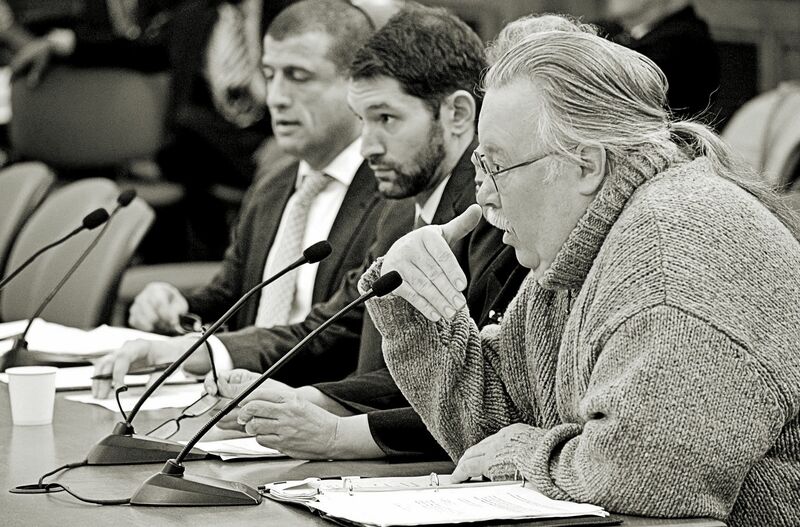 The other elements of the bill, including the low-income solar program, look like they have the potential to move the District forward in an equitable manner. Should We Ramp-Up this Bills RPS Targets? : DCEN, CCAN and others, proposed an ambitious but achievable RPS expansion of 40% by 2025 to Mayor Bowser’s transition team in December of 2014, advocated for this target during 2015, and had hoped to talk to Councilmember Cheh about our proposal in 2016. Councilmember Cheh’s bill only establishes a goal of “no less than” 26% by 2025. Climate focused organizations and activists should consider whether we want to advocate for a more agressive ramp-up of RPS targets. Should Sewage Waste Heat Be a RPS, Tier 1, Renewable Source? : The bill also would allow sewage system waste heat to qualify as a Tier 1 renewable source. We are excited about the possibility of taping into this clever source of energy, as a number of other countries have, but some questions need to be answered. Since Councilmember Cheh is also looking to increase the solar carve-out targets of our RPS, it will be important to understand if incentivising waste heat, as a Tier 1 renewable source, could undermine incentives to grow more proven renewables like wind and solar. The sustainability community spent a whole year working to eliminate black liquor from the District’s RPS to help narrow the renewables field. We need to understand more about how sewage waste heat might impact the District’s RPS targets and make sure whatever we do gives us the biggest, cleanest, energy bang for our buck. There are many questions DCEN and others will have about these, and other, provisions over the course of the next few months. Some of this could probably have been dealt with had there been more preparatory consultation on the specifics. Of course we will have a few opportunities to comment during the legislative process. Many climate focused organizations and activists, many who worked on the orginal 2004 RPS bill, are ready and willing to help. Join our March 11th DCEN happy hour and help get this conversation and RPS expansion campaign started. All are welcome, but you must RSVP here! DCEN March Networking Event Tomorrow! Join the DC Environmental Network and DC Climate Action for DCEN’s Monthly Briefing and Networking Opportunity! Tomorrow, Thursday, March 3rd at NOON, join the DC Environmental Network (DCEN) and DC Climate Action, for DCEN’s monthly briefing and networking opportunity. EXTRA! Allison Archambault, of Power DC, will also give a brief Exelon-Pepco merger update before the main program begins. Mayor Bowser, Attorney General, and OPC Oppose Alternative Settlement. The merger continues to unravel. In just the last few hours both Mayor Bowser and the People’s Counsel, Sandra Mattavous-Frye, both expressed opposition to the alternative settlement agreement proposed by PSC Commissioner Fort and supported by PSC Commissioner Phillips. “From the start, we focused on affordability, reliability and sustainability. We pulled everyone together to negotiate an agreement that was a great deal for DC residents. 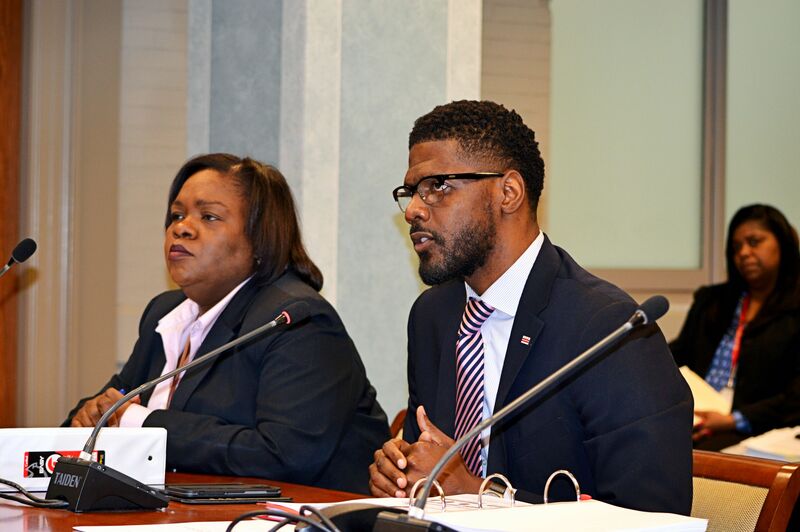 The Public Service Commission rejected an agreement that had the support of the Peoples Counsel, Attorney General, DC Water and others. The PSC’s counterproposal guts much needed protections against rate increases for DC residents and assistance for low-income DC rate payers. That is not a deal that I can support.” SEE Washington Post. “People’s Counsel Sandra Mattavous-Frye today said the Office of the People’s Counsel for the District of Columbia (OPC) has carefully and fully reviewed the Public Service Commission’s (PSC) revisions to the Pepco-Exelon settlement agreement announced on this past Friday and concludes that she cannot support the revised settlement agreement. The Commission has taken a principal benefit of the merger away from residential electricity customers by removing the guarantee of no rate increases for residential ratepayers through March 2019.” SEE FULL STATEMENT HERE. The DC Environmental Network believes there may still be much to do to stop this merger completely. Give some credit to the Mayor and People’s Counsel for seeing this latest Public Service Commission proposal as unacceptable, and even more harmful to District ratepayers. 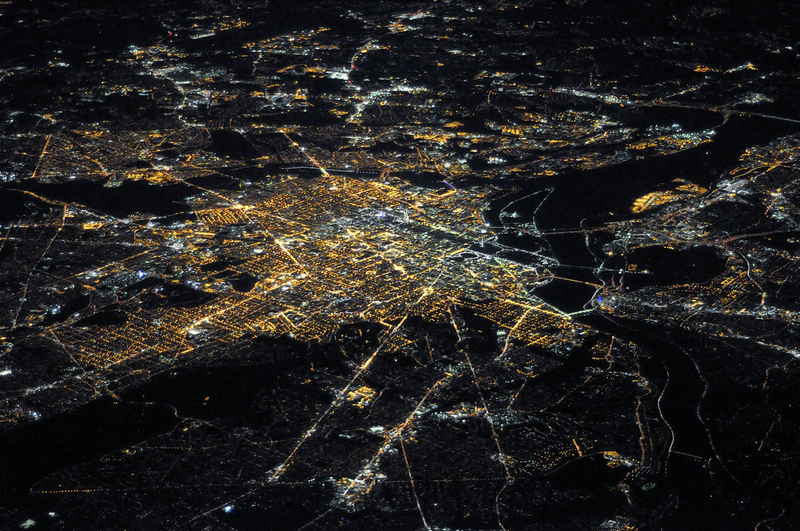 ► DCEN March Networking Event: Grid Modernization & Renewables! On Thursday, March 3rd at NOON, join the DC Environmental Network (DCEN) and DC Climate Action, for DCEN’s monthly briefing and networking opportunity.